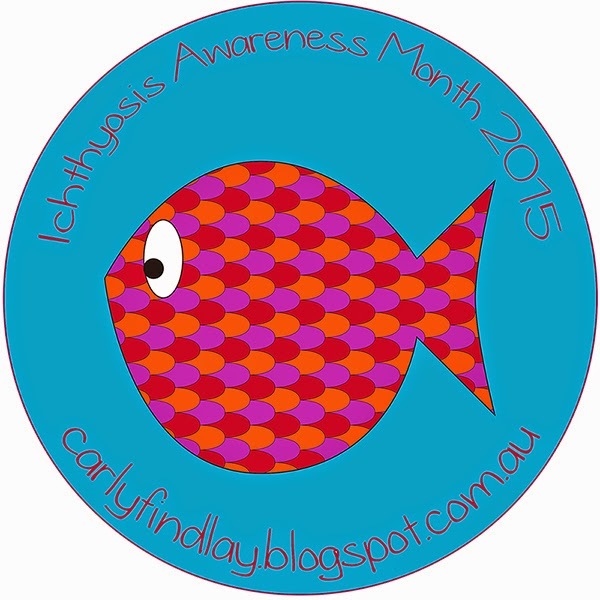 All about the Australian Ichthyosis Meet. So much friendship, advice and love. 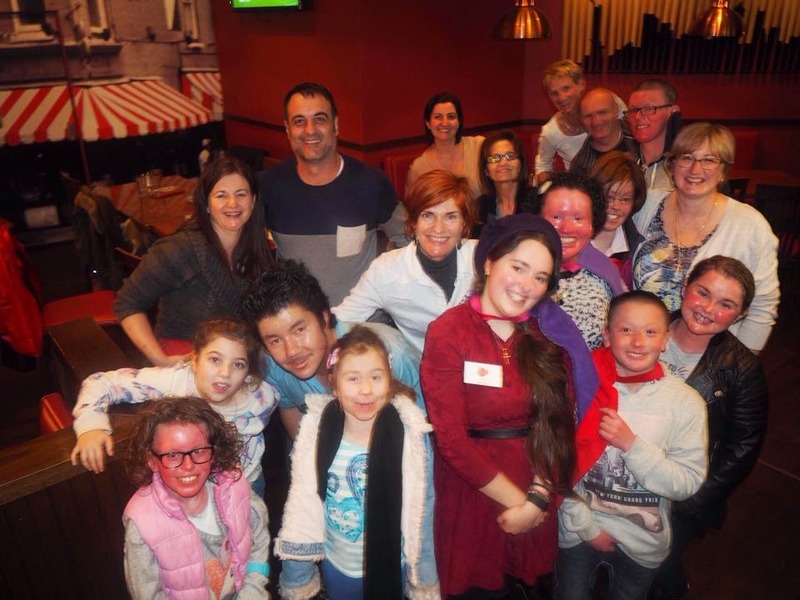 We had around 70 attend – and around 20 of those were affected by Ichthyosis. I started small – because it was me organising the majority of the event and I didn’t know the level of interest. But there’s a clear interest – enough for the attendees to keep in touch in a number of ways now. I also wanted it to be financially accessible and so it was no cost for attendees. I seem to be lost for words. I cannot even describe how amazing the day was. I can’t believe it happened, and I can’t believe it happened so well! What an amazing, moving, inspiring and fun day! Thank you to everyone who came to the meet – especially the helpers. I created an event that I wanted to exist. So proud. There was so much love for one another on that day – total respect was shown to everyone, and all of our advice and experiences were listened to. And we laughed a lot. The first guest was Lucia – a girl I’ve known online for years but had not yet met. The paparazzi went wild for us. 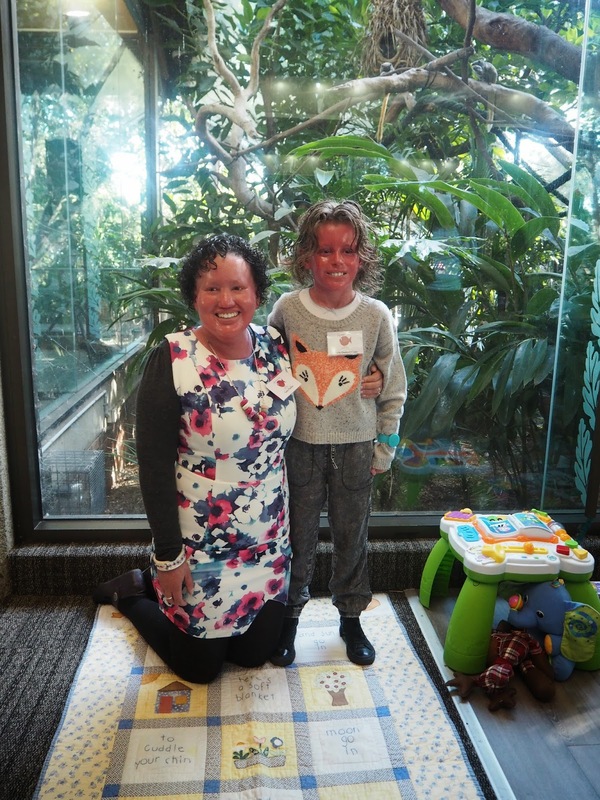 The day comprised a number of sessions – a panel by doctors, and three activities where people shared their experiences and advice about life with Ichthyosis. The group also discussed what they’d like to see after this day. It was great to see children having the confidence to speak to the audience – each receiving a round of applause and a prize. 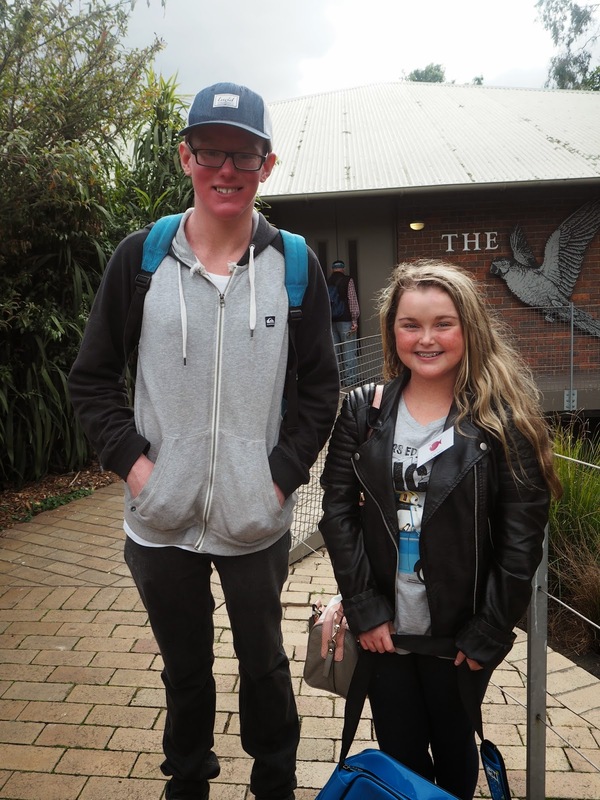 I learnt so much from these wise young people. 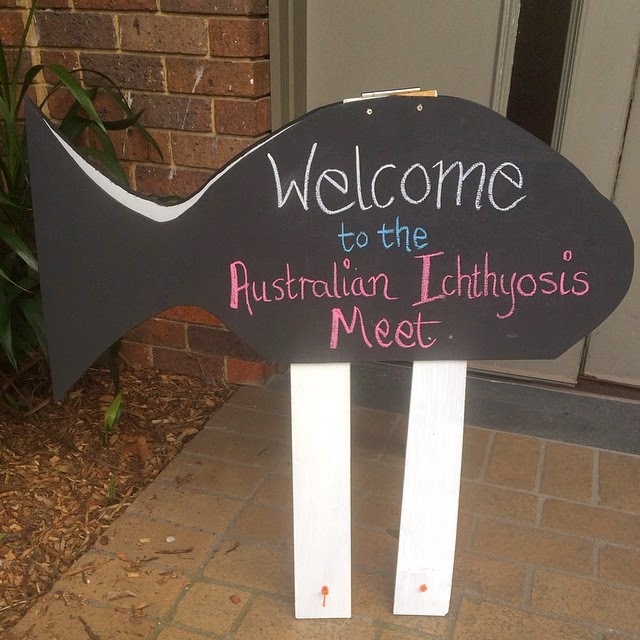 In a future blog post, I will write about what we learnt and the discussion about the direction of the Australian Ichthyosis community. 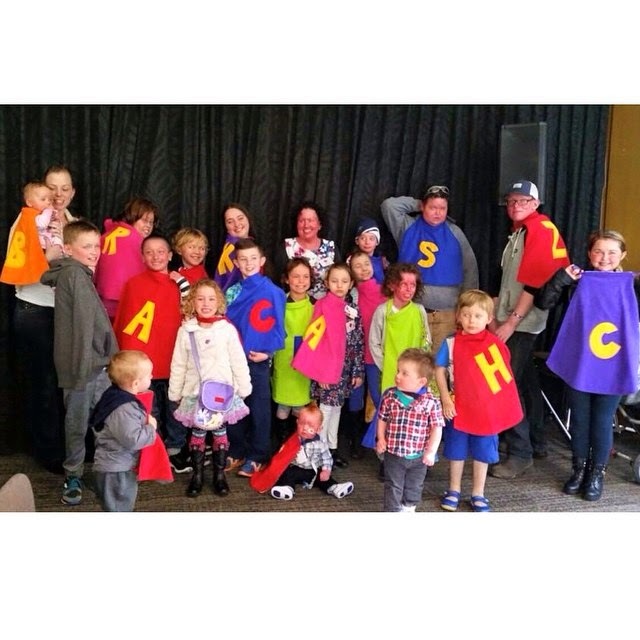 While these sessions were happening, Nathalie from Easy Peasy Kids and Adam ran the kids’ play table – working through these activities and having fun colouring in, playing with play dough and doing craft and word puzzles. 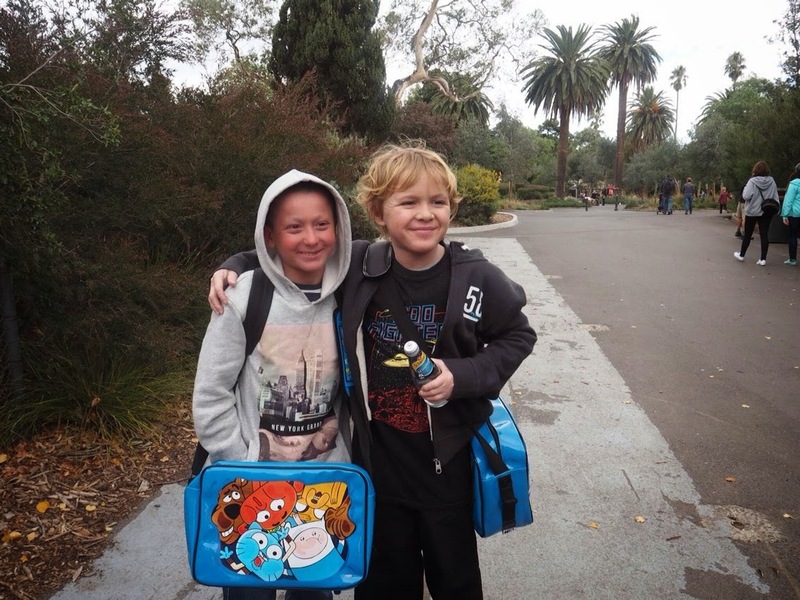 It was there that so many friendships were formed – between children with Ichthyosis and without. It was magic. One of the most exciting parts of the day for me was seeing the kids with Ichthyosis (big and small!) 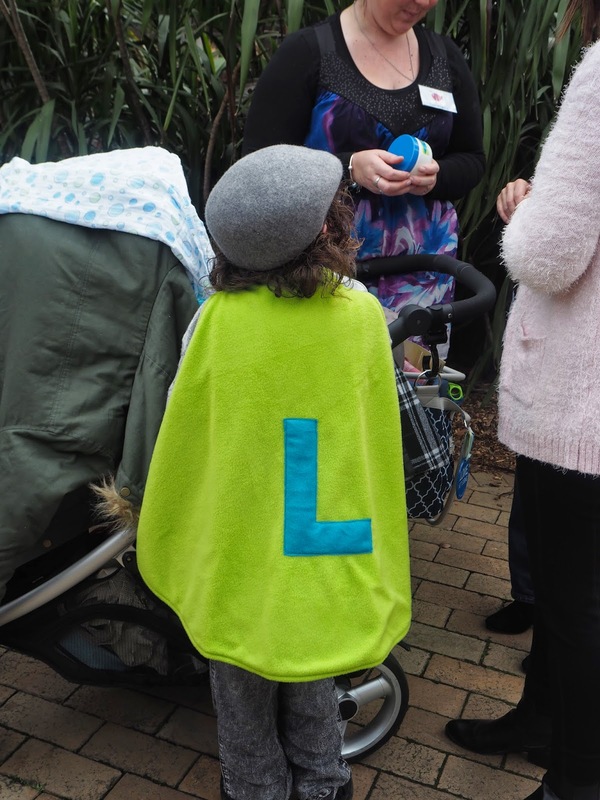 receive their capes from Tiny Superheroes. Some wore theirs all day. It was so beautiful. And then we had lunch and went off to the zoo in groups. 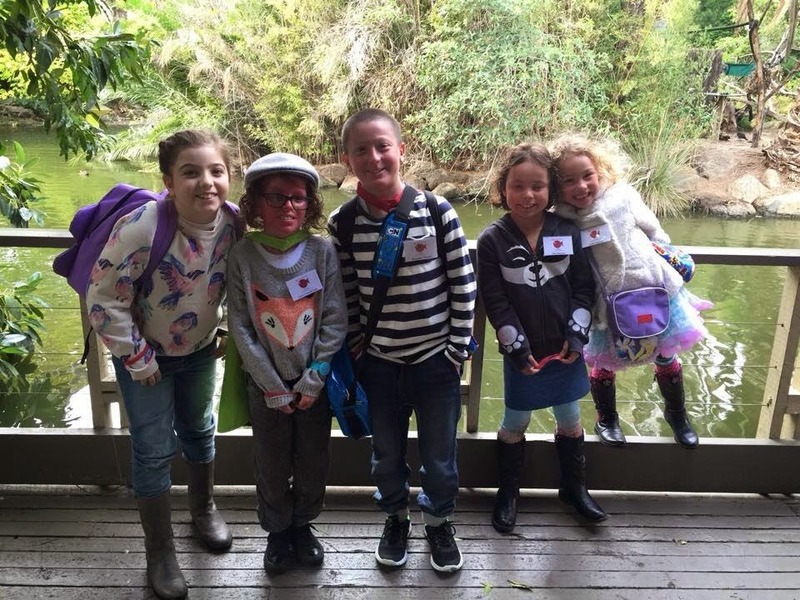 A 10 year old led our group – I think he’s found his calling as a zoo tour guide. We were so impressed. 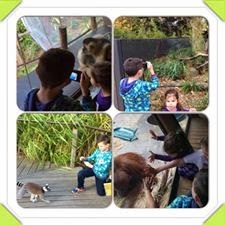 We saw a few animals, but to be honest, I enjoyed socialising more than animal spotting. After the zoo, some of us had dinner at TGI Fridays. The wait staff were so impressive – taking interest in everyone who attended, and making the children feel very special. The friendship that developed on the day is priceless. It was friendship between child and adult patients, from patient to parent and between parents. I know that everyone’s life has changed for the better. And it was so important to have a team of medical staff there – not only to impart advice, but to learn from us and see us in a non medical setting. This meet was something I didn’t have as a child. 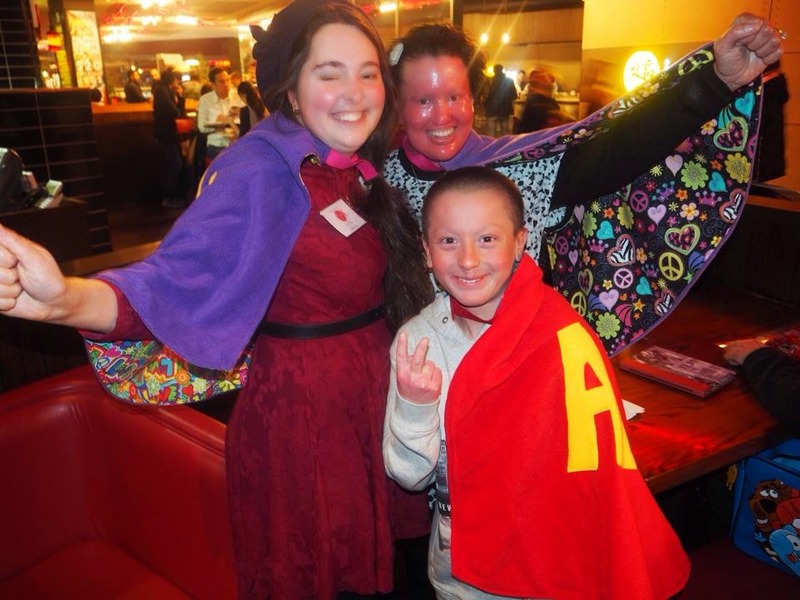 I am so happy to have given children and adults with Ichthyosis, plus their families, the opportunity to meet. 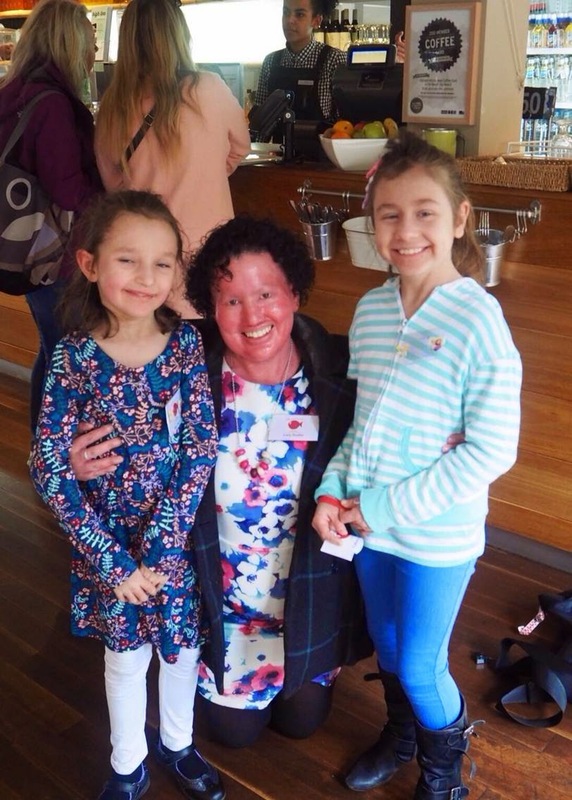 I have hope that everyone with Ichthyosis and other visible differences can love themselves – that they can see their own beauty. I asked Olympus to give away a camera at the meet to promote positive body image and diverse beauty. They came on board three weeks ago, giving away a selfie camera to one lucky attendee. The selfie camera is water and dust proof – perfect for people with Ichthyosis. They also gave me a camera, which I used to take pics on the day. Jodie and Rob from Guest Ready for facilitating, Nathalie from Easy Peasy Kids for being the play supervisor, Stasia from PhotoAddix for the official photography, Keri and Erin from Genetic Support Network of Victoria, Nicole from Champagne and Chips, Professor Ingrid Winship, Doctor David Orchard and Nurse Practitioner Emma King from Melbourne Health, Adam for putting up with my bossiness, making the blackboard, doing all the heavy lifting and being king of the kids, my parents for helping pack the goodie bags, fundraising and sharing their experiences, and the Melbourne Zoo (especially Compass Group) for the great venue. And: Awesome Melbourne, TinySuperheroes, Olympus, Madwoman Foundation, Your Name Here Promotions, MadMan Entertainment, Sukin-Australian Natural Skincare, MooGoo Skin Care, Random House Books, Invicium Print Management, KeyPharm, LifeLike Touring, Lego, Collins Square Social Club, Ethical Nutrients, Lisa Cox, Marilyn Cardinal, CurlyPops Tracey Hassell, plus all the financial donors via Go Fund Me.I am so grateful for your support. The products we could not fit into the gift bags will go to charity. Some have already been dropped off at the Royal Children’s Hospital and I will take another load to a different charity. $500 of the donation money has gone to FIRST. More photos and part two coming soon. I loved reading this blog. It makes me happy and i want it re-live that day again. Carly you should feel prouder than proud with your effort. i loved how there was no need to explain about a rare skin condition and it was more about sharing our experiences and giving each other support. As I read everyone's comments i smiled has it made me happy to know we all feel the same. 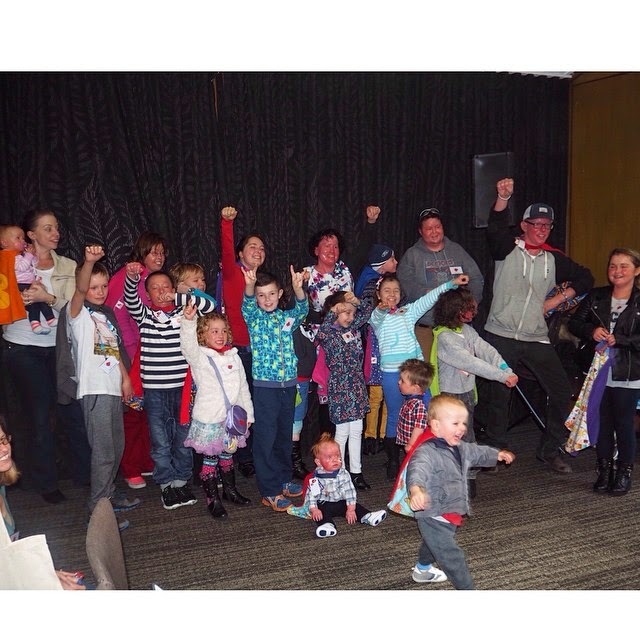 Hi, I am an aunty to Campbell (who has Ichthyosis and won the Olympus camera), just want to say thankyou for organising this day, you have done an amazing job and its nice that Campbell now knows other kids with the same condition as him. I know his mum (my sister) will be glad to know other parents who have kids with Ichthyosis so they can share info and ideas on treatment. Well done Carly! Carly you really give a lot of time, love and energy back to society. The world needs more Carly's! !